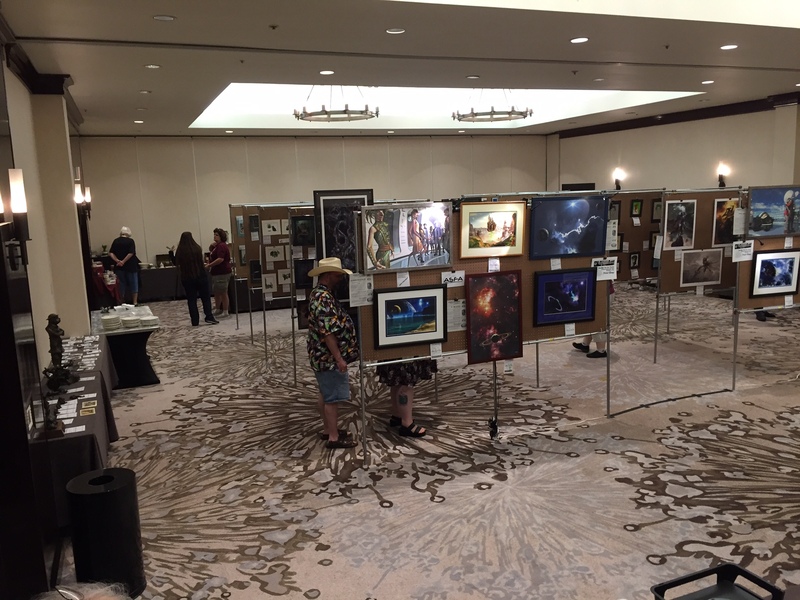 Greetings to artists and art lovers as FenCon hosts its fifteenth annual Art Show and Art Auction! We once again welcome artists from across the great southwest and around the world, either in-person or by mail-in. We'll start with a silent auction in the Art Show all day Friday and well into Saturday. Items with three or more bids will move to the live auction on Saturday evening. We will post more information here as it becomes available. Our panels and tables will be filled with original paintings, prints, sculptures, jewelry and other forms of artwork. Space goes very quickly every year and you must contact the Art Show director by e-mail at artshow@fencon.org to check on availability. Thank you.